The watch industry truly kicks into gear each January with the Salon International de la Haute Horlogerie (SIHH) in Geneva, heralding a flurry of imaginatively scribed press releases, and invitations to witness the unveiling of the latest horological creations, in sumptuously appointed viewing rooms – by appointment only. Where Baselworld is certainly by far and away the bigger event, it is only at SIHH where you’ll encounter Cartier, and this year an old Cartier favourite makes a welcome return, almost fifteen years since we last saw it. 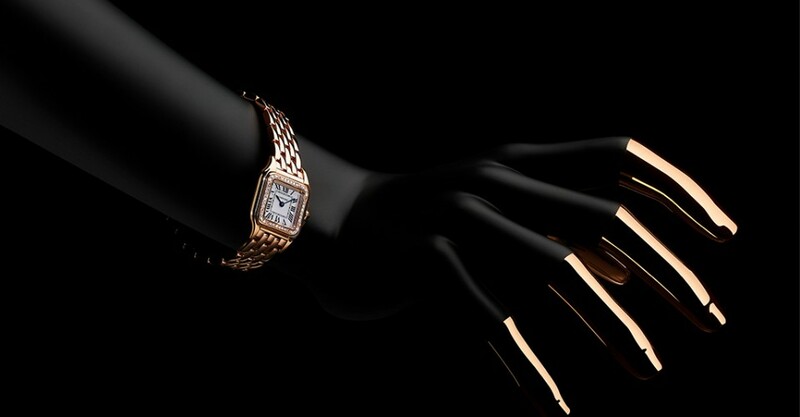 Initially launched in the early 1980s, the Panthère de Cartier quickly became an icon among the decade of decadence’s high powered and successful businesswomen and socialites alike. Charmed by its succinct elegance, and the pressing fact that with Cartier, it would always be a piece of jewellery first, and a timepiece second, it perfectly embodied a timeless sense of style, and astute good taste. The 2017 edition officially makes its return using that very same epithet, and once again its gorgeously slinky feline form is set to stun on a new generation of discerning ladies’ wrists. Infinitely stylish, and unmistakably Cartier, even from a distance of one hundred paces, its signature hallmarks of the squared case with neatly rounded corners, the crown with the blue sapphire cabochon, the famous square dial with its roman numerals (and hidden ‘Cartier’ motif), the inner minutes track and the blued steel hands, make it is as distinctive as it is desired and cherished by our many devotées at Weir and Sons. 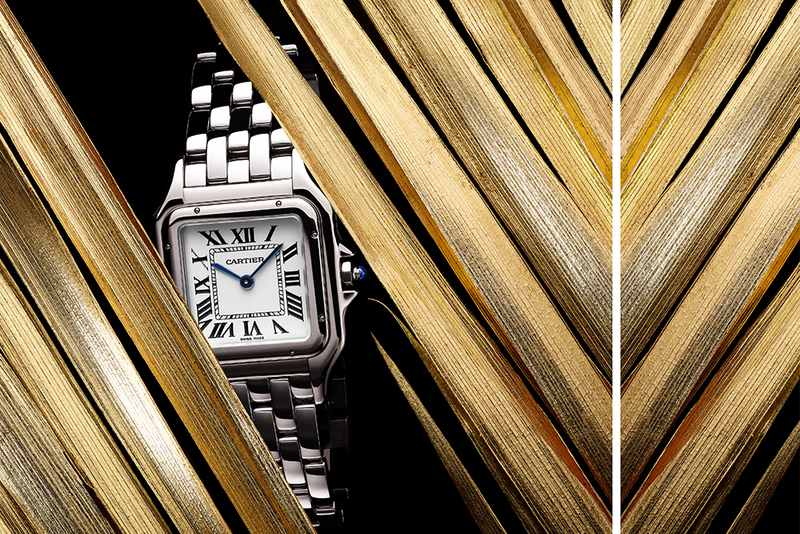 In keeping with the Parisian brand’s perennial chic, the new Panthère de Cartier collection’s evolutionary changes over its predecessor are barely noticeable, if at all. Its classic design is thin in profile and it will come in small (22mm) and medium (27mm) sizes. All models are powered by trouble-free and ever reliable Swiss quartz movements. Elegant and superbly well made, each piece defines the epoch of its class, and as ever, the collection’s most popular front runners will always be the options in stainless steel, bi-metal steel and gold, and of course gleaming in 18Kt white or yellow gold. The bracelets are polished and their brick-like links are tight and whilst solid and durable, feel light and wear supremely comfortably on the wrist. Then there will be the choice of whether diamonds or no. And if they’re an essential, then how restrained or over the top you’ll want to go with them, because being Cartier, the Panthère collection comprises some twenty variations. So if the ‘less is more’ simplicity of unadorned steel or gold aren’t quite what’s required, and you want a piece which absolutely refuses to go unnoticed, then there are several simply dazzling jewellery versions, on up to models with daring panther-print melanistic black spotted, diamond filled dials and bracelets. For a company who are happy to declare that their watches are not their raison d’être (although possibly a slightly dismissive Gallic understatement), the popularity of Cartier’s watch collections down the years have embarrassed many grandes marques of the watch industry, who would surrender their grandparents in the morning to come close to the love we have for Cartier. 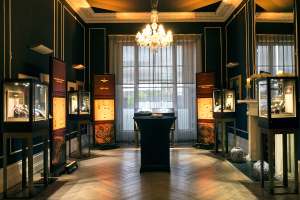 To be first in line you can reserve your Panthère de Cartier now, so call into us at Weir and Sons, where the new collection will soon be with us, and discover why we too can’t escape being spellbound in the gaze of this most exotic of horological felines.